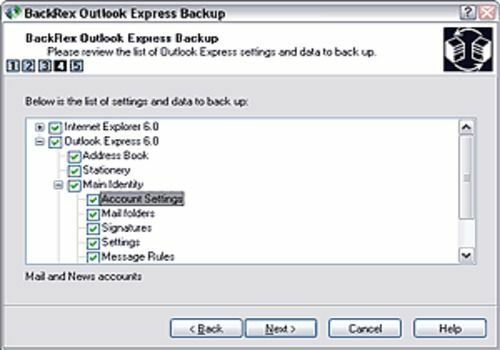 BackRex Outlook Express Backup allows you to save Outlook Express mail and news folders, address book, message rules, blocked senders list, signatures, and custom preferences. You can save all Internet Explorer and Mozilla Firefox custom settings, including favorites and history. BackRex can help you to migrate settings and Outlook Express data from one computer to another, even with different versions of Windows and/or Outlook Express.